I wonder if any of you have ever met a real magician? 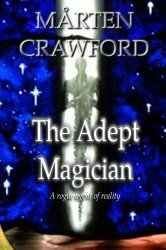 Someone capable of making physical magic via their will? Czech magician, Franz Bardon, was one person reputed to have developed such powers and I can recommend the autobiographical account of his life which was written by one of his close associates after his death here in Brno and admittedly goes a bit overboard in its claims. Nonetheless, he could make real magic of that I have no doubts. Despite hanging in magical circles for close to a decade or so, I have never seen or met anyone capable of performing that kind of magic. I have seen and participated in rituals that have had real power and had real results but I have never seen someone make it rain or make something burst into flames simply through an act of will. Do people like this exist? Yes, I am certain of it. Most of us know of gifted people: Van Gogh, Einstein, Bach, Hawking, mathematicians, faith healers, psychics and so on. But did you know other abilities are possible? With spiritual training one can achieve abilities far beyond anything we can comprehend right now: with the right training. Cast in the form of conversations, this book is about one such person, a gent who trained using spiritual exercises daily for 30 years, sometimes at great peril to his health, his family, his friends and his financial well–being. After extraordinary effort, this Magician was capable of creating earthquakes, 360 degree vision and could even stop time itself. Impossible new–age claptrap? Set at the turn of the 21st century with the help of his sponsor, he not only made it to the first great transformation, to the second but on to the third great transformation where the ability to speak thought into being is conferred. imagined could be, suddenly is all around you. And that is just the beginning”. I recommend that you buy this book and look out for my in depth review in a weeks or so…. I have no doubts either…. Thanks Alienora..